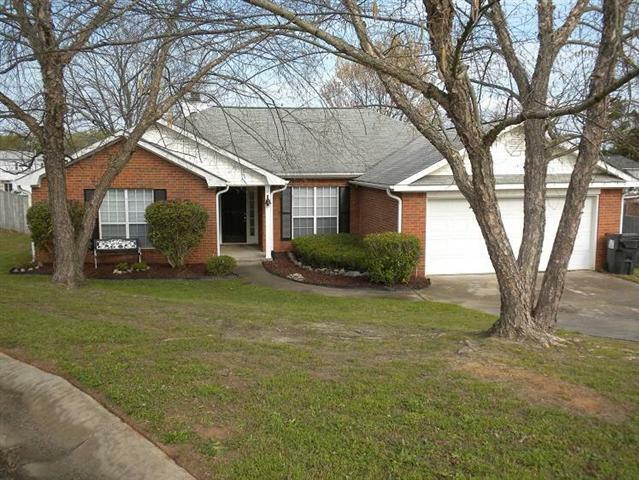 Lovely 4BR/2BA brick ranch with a split floor plan. Enjoy a spacious great room with a gas fireplace, a large dining room, breakfast room with bay window,double car garage, covered patio, and a shaded fenced back yard. Located in a cul-de-sac you will be less than 5 miles to Ft. Gordon in Columbia County school districts. Pets up to 50 lbs. ok. Call or text Staci @ 706-619-0443 or call Bridges Realty @ 706-922-6390 to schedule a showing. Information herein deemed reliable but not guaranteed.